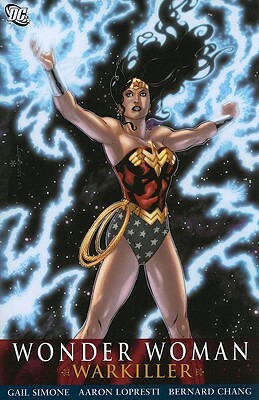 Gail Simone continues her acclaimed run on WONDER WOMAN with this collection! After the status-shattering events of WONDER WOMAN: RISE OF THE OLYMPIAN, the world's most sensational team reunites, as Wonder Woman and Black Canary go undercover among some of the worst villains of the DC Universe! Later, Diana finds herself fighting for her life against the man destined by the gods to take her place – Achilles, the Warkiller! Zeus has made Achilles ruler of the Amazons, and Diana finds herself in battle against the people she loves most! How will she fair when those same people brand her an outcast? Find out in this thrilling new volume!